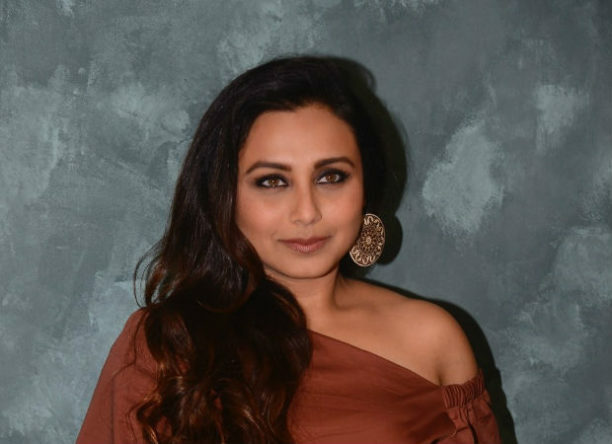 Rani Mukerji will be on BFFs with Vogue on Colors Infinity hosted by Neha Dhupia on Sunday and we have some inside scoop on what she talked about including fun stories about Aditya, Adira and more. With Valentine’s Day feels still in the air, we have an ‘awww’ story for you. Did you know that the Bollywood couple, who have had many speculations about their relationship, first met professionally during the casting of the film Mujhse Dosti Karoge. Back in the day, while the Yash Raj Productions film was finding its actors, Aditya Chopra was quite interested in casting Rani Mukerji for the role. During the show the actress also talked about her adorable daughter and made it clear that she does not want Adira to be a victim of the paparazzi culture. “I want Adira to grow up normally. [Otherwise] you get unwanted and undeserved attention without having achieved anything in life. I want Adira to be treated like any other child in school. Aditya and I don’t want her to be photographed constantly,” she said. We also have this special video – Rani Mukerji tells us about the 3 FAVORITE F’s. Rani mentioned that she does not want Adira to pick up Adi’s immense love for Food so the first F as we know stands for Food. Knowing that Aditya Chopra is one of the most known and successful director-producer and writer, it’s a fact that his second favorite F stands for Films. While we watch the promo, we see Rani is hesitant and does not mention the 3rd F. Well, what can it be? As you can see designer Sabyasachi completely cracks up! Check it out! There will be many more revelations! Catch #RaniMukerji & @sabya_mukherjee on #BFFsWithVogue this Saturday at 8 PM, on @Colors_Infinity. To find out more, tune into Jeep presents BFFs with Vogue, powered by Motorola, beauty partner Nykaa on Saturday, 17th February at 8 PM only on COLORS INFINITY.